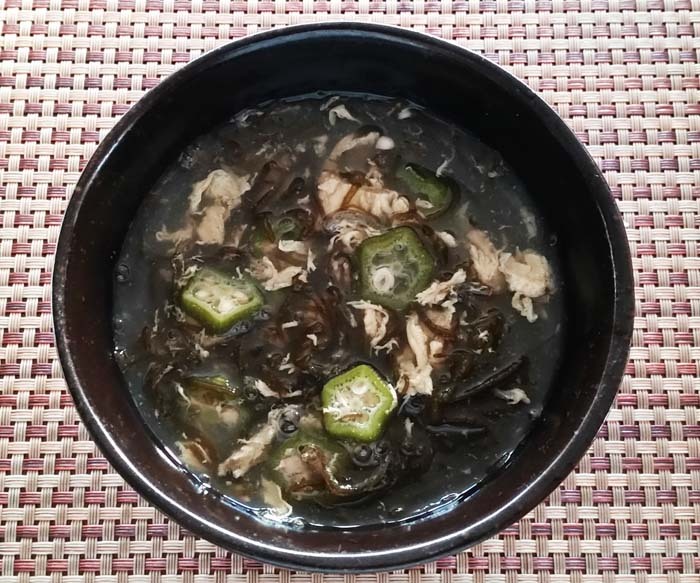 A variety of okra grown on Okinawa, known as ‘neri’ in local dialect, is round in shape and a little longer than okra cultivated in mainland Japan. It’s also softer, and contains more fiber than pumpkin or burdock root. It’s usually eaten marinated, fried, or boiled, and with soy sauce as a condiment. Its harvest season is from July through September. 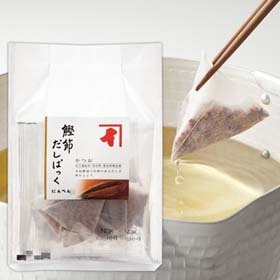 Bonito flake bag is used like a teabag as an easy way to make soup stock (dashi). Wash okra and cut into small slices. Wash mozuku seaweed, cut 15cm long. Pour water into a pan, dip in the dried bonito bag (it’ like a tea bag) and bring to a boil. Let boil on low hear for three minutes skimming the scum off the surface. 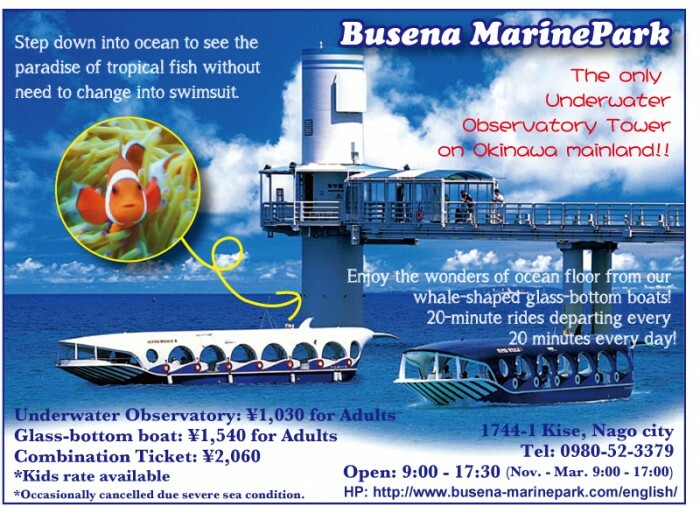 Take the bonito bag out. Add okra and mozuku and continue cooking on low heat for another minute. Pour in the eggs while mixing gently.